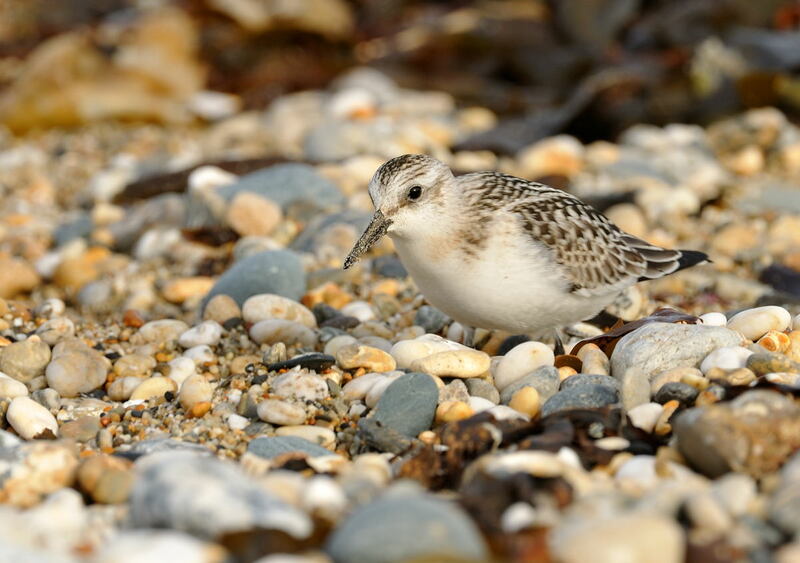 The Sanderling images were taken early this morning on Marazion Beach. 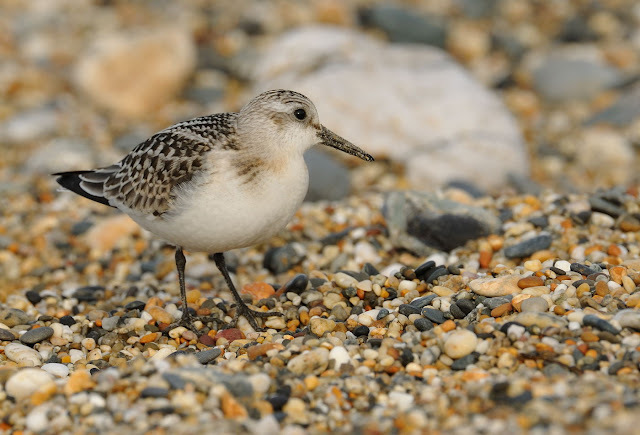 There was a decent number of waders present with at least 30 Sanderling, 200 Ringed Plover, 12 Dunlin and half a dozen Turnstone. 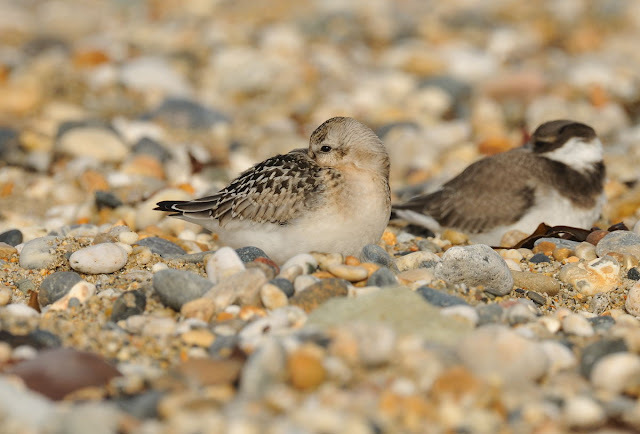 The three images show a first year bird in perfect plumage. Lovely shots of a lovely little bird!